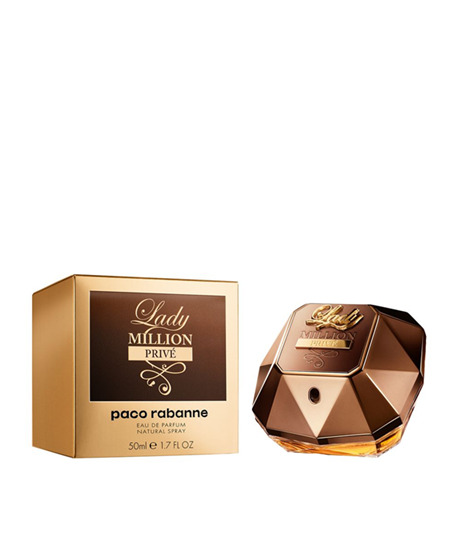 Lady Million Prive explores a new and thrilling intensity, astoundingly feminine. Its fruity oriental trail has a seductiveness of a flirtatious enchantress that is more elusive than ever. The luminous facet of heliotrope-vanilla is enhanced by an intense floral heart and lifted by a touch of juicy raspberry. The ultimate addiction of cocoa bean is unveiled over the voluptuous and pulsating honey-patchouli accord of the original fragrance.